"They know nothing at all, yet profess to know everything. They are ignorant even of themselves, and are often too absent minded or near sighted to see the ditch or stone in front of them". Over thousands of years human madness has taken many forms, but only the 21st century has brought the most insane combination of them: cyber-egotism, cyber-ignorance and cyber-greediness aka the Trinity of Dementia. Conceived, composed, performed, recorded, mixed and produced by AFAN Alessandro Fantini. Lyrics, vocals and effects by AFAN Alessandro Fantini. Cover art by AFAN Alessandro Fantini. 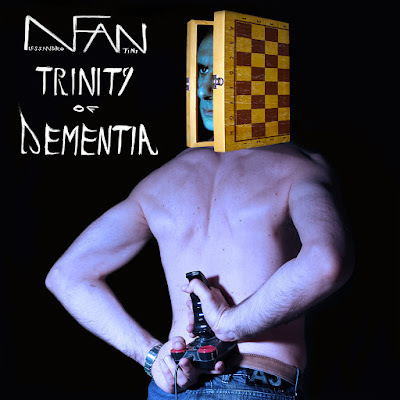 Trinity of Dementia is out now on Spotify and Deezer.